Urine Deposits can be seen easily with a black light. Request a black light inspection the next time we visit or call to schedule a FREE Pet Treatment Inspection! Make sure to request the black light. How stains are treated will depend on the type of stain, what has caused the stain, and how long the stain has been present. Different types of stains require different removal methods, but fast action can mean the difference between a spot that can be removed and a permanent stain. For your convenience, we have compiled this Spot Removal Guide complete with instructions for how to handle stains, including several specific types of stains including blood, ink, grease, wine, paint, glue and various other stains. 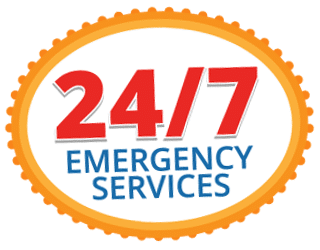 In the event that you are unable to remove the spot yourself, we are just a phone call away and we have a lot of experience in removing tough spots & stains. Don’t hesitate to call. We all love our pets, but sometimes they can leave a mess. 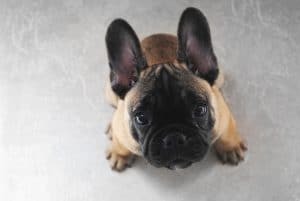 Accidents happen, and while forgiveness often comes easily, your pets could be causing extensive damage to your carpets and furniture while leaving behind unpleasant stains and odors. Removing pet odors and stains can be a bit tricky, as pet urine usually penetrates the carpet, the padding, and the subfloor, making removal difficult. Our skilled carpet cleaning technicians use a specialized cleaner to penetrate the surface and neutralize the odor, while removing the stain. Tough stains may reappear and require additional visits to fully remove. Simple deodorization. We can deodorize your carpet for as little as $0.10 a square foot! Deodorization will not remove any stains but can alleviate odor problems if this is your only concern. Pet Injections. We will inject enzymes into the padding where the stain is located. This will remove odor. Saturation (Urinse) Treatments. We will saturate the spot and rinse. Full Pet Decontamination. We will remove the carpet and pad, seal and treat the sub-floor, replace the old padding with new pad, reinstall the carpet, install a plastic barrier between the pad and carpet, and clean it with a saturation treatment. Please note that pet odor treatments are not covered under All Brite’s 100% guarantee. We proudly stand behind all work that we do, but each pet odor situation is different and each has it’s own level of restoration. The only way we can 100% guarantee odor removal is with a Full Pet Decontamination and the pet is no longer in the home.